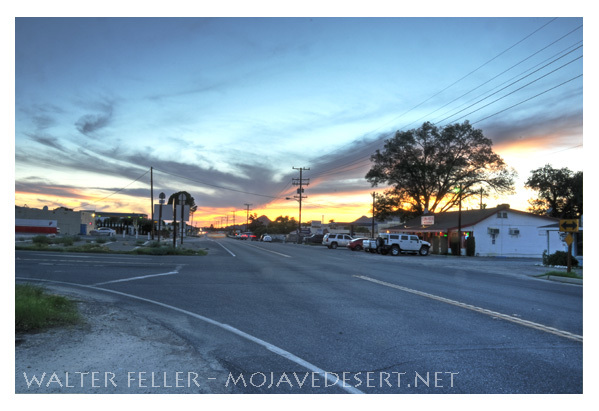 An unincorporated community located 21 miles east-southeast of Victorville. In 1897 James E. "Dad" Goulding named his 160-acre homestead ranch Lucerne because it was such a good place to grow alfalfa (Lucerne is the Swiss word for "alfalfa", and was a word commonly used used by the Mormons). Dad brought in the first artesian well in the valley and in 1901 he started the first school here. In 1912 mail for the area was delivered to the home of Mrs. Koehly by stage three times a week. The post office was established on September 9, 1912.